Richard Stallman is famous for his recursive acronym GNU – standing for GNU’s Not Unix. GNU is at the heart of the free software movement, leading Stallman even more famously to draw the distinction between free as in speech and free as in beer. It is the former which is central to his concept of free software. As a contribution to further confusion, a free beer movement has developed in tribute to Stallman, where the free beer is free as in speech, not free as in beer. 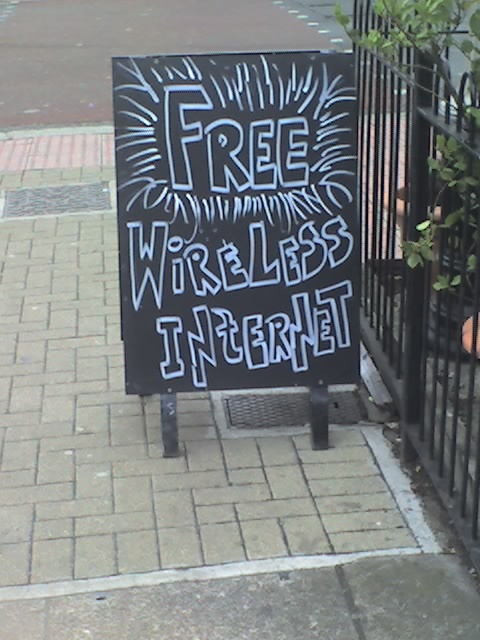 All of which is by way of rambling introduction to the fact that the pub at the corner of my road has suddenly sprouted a sign offering free wi-fi. Free connections but not, I suspect, free beer.